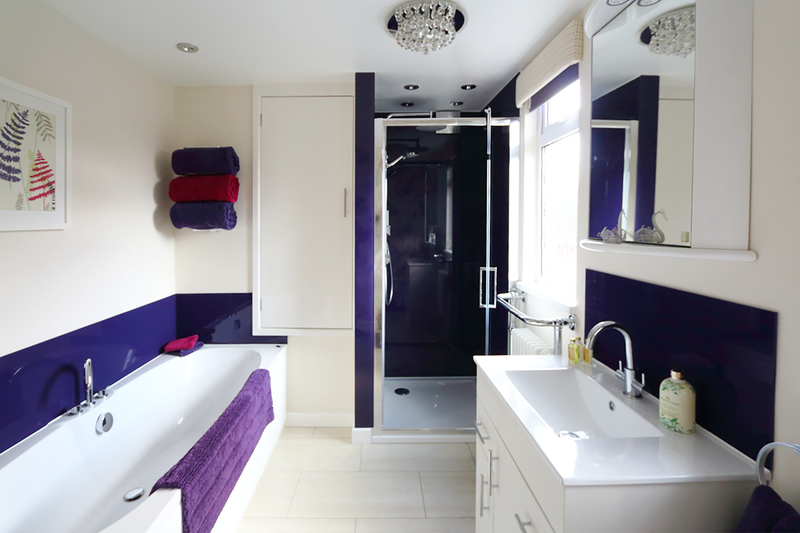 If you’ve ever stood in the shower giving grubby grout the side-eye, or sat back in a hot bath only to be faced with a view of mouldy sealant or limescale encrusted tiles, you’ll know how much a less-than-sparkling bathroom can spoil what should be a relaxing moment. 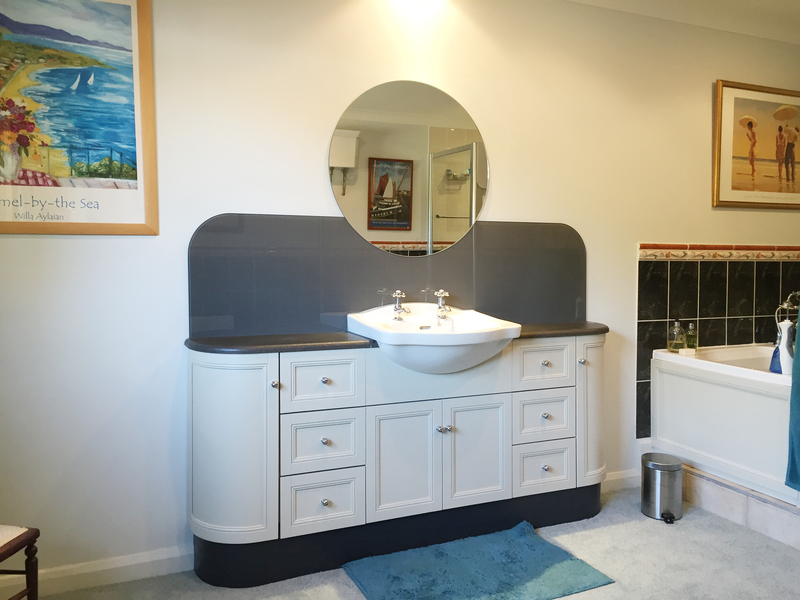 Choosing glass panels to line your shower enclosure, run behind your sink, or along the side of your bath, greatly reduces the problem of accumulated dirt that can spoil the look of an otherwise spotless bathroom. 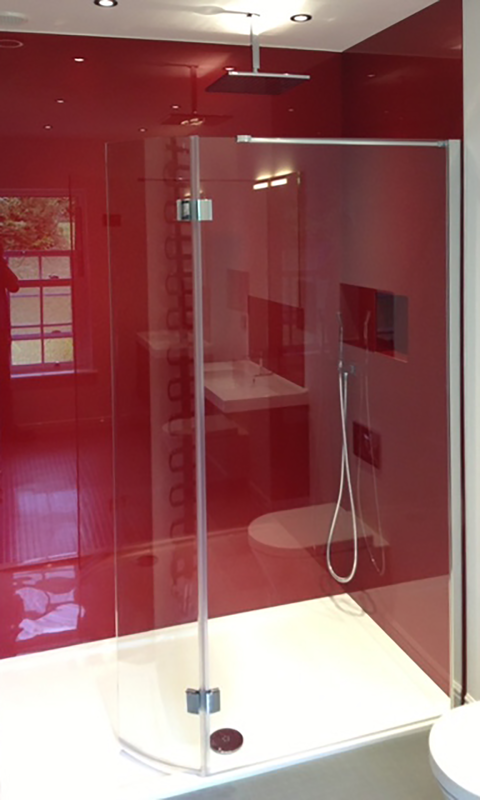 Glass shower panels also bring a seamless look to a space, avoiding the joins and breaks that can make a bathroom look busy and chaotic rather than calm and tranquil. 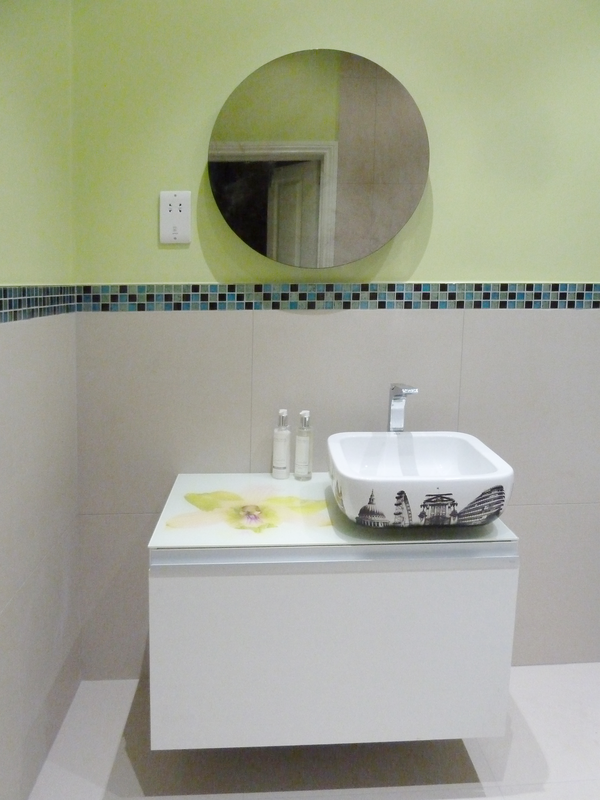 In particular, differently sized or shaped tiles on the floor and walls, as well as inside the shower enclosure, can produce a jumbled effect, with too many grout lines creating visual clutter. 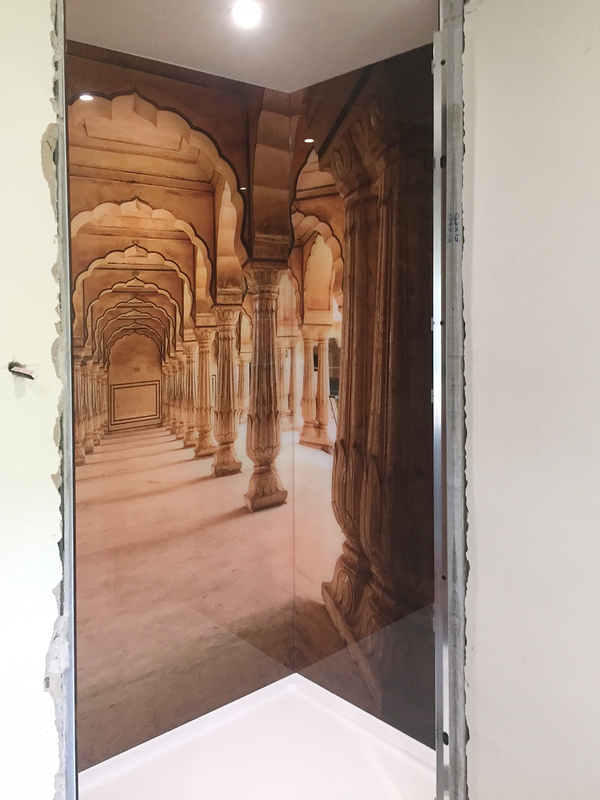 Our glass wall coverings are fixed in place with silicone adhesive, so no grout is required. And, because they are made to measure, they will fit your space perfectly with no awkward joins or seams. 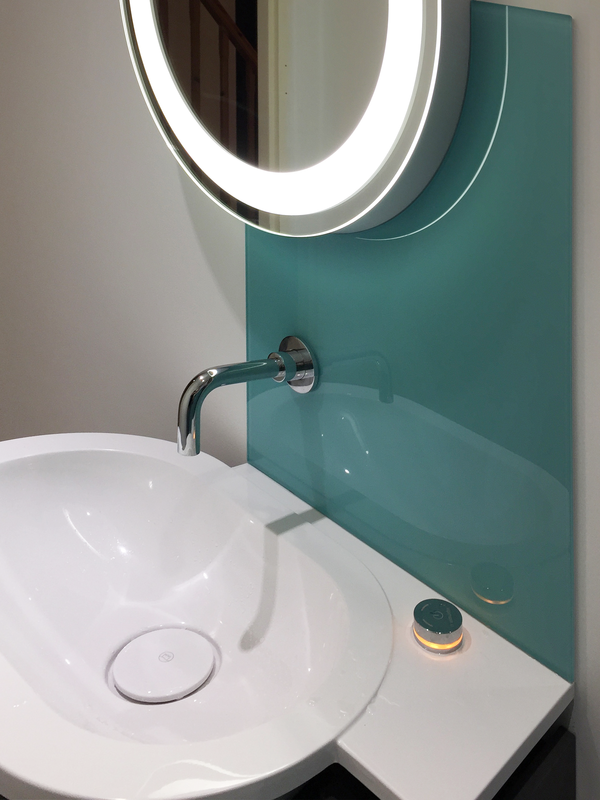 For a super streamlined look, we can even match our panels to the colour of your walls or suite. 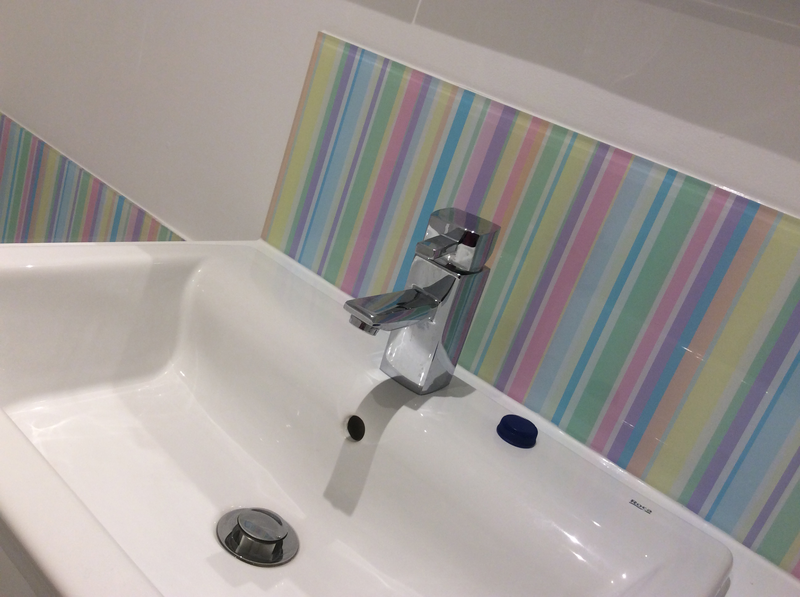 If you love the patterned effect of tiles, but aren’t so keen on the grout, we also make tile-printed glass that retains all the character and detail of traditional tiled surfaces but stays fresh, glossy and sparkling, with the minimum of cleaning required. 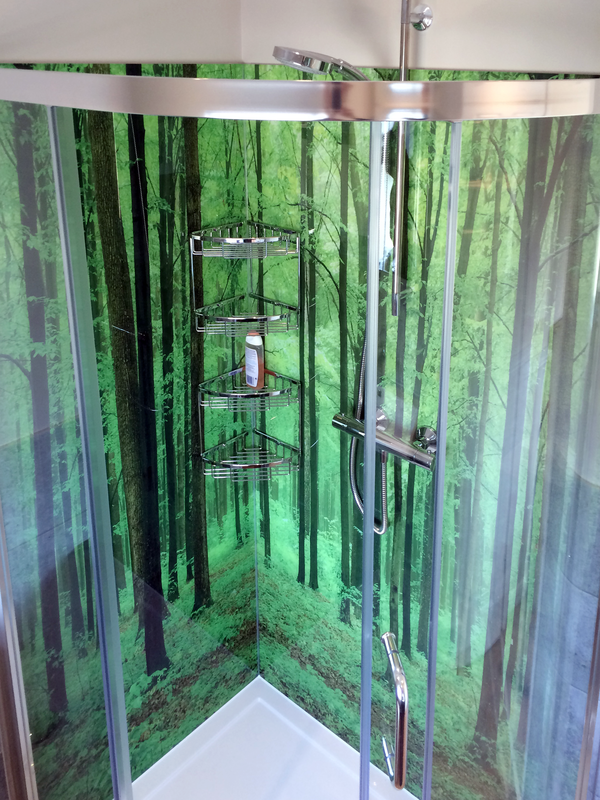 Alternatively, many of our customers choose to personalise their space with digitally printed glass shower panels or wall coverings. 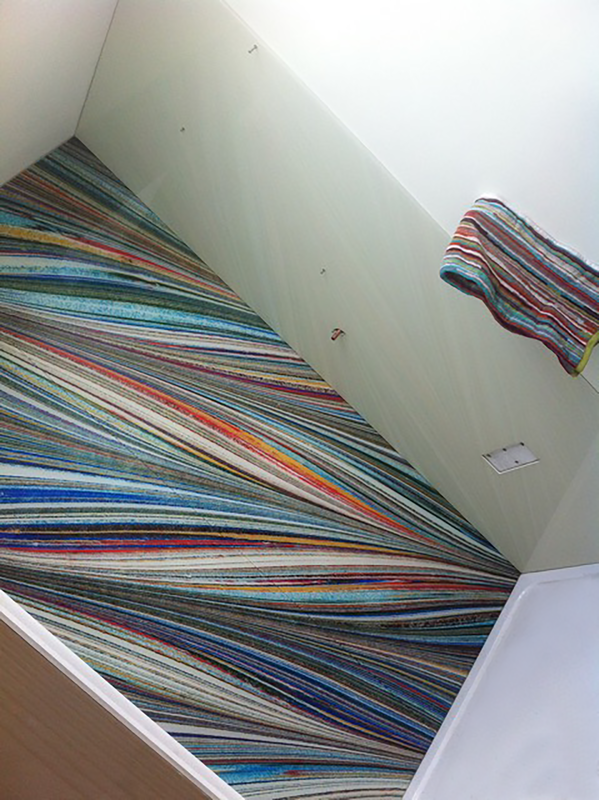 From stunning views of tropical beaches or rolling green hills, to colourful stripes or ultra-modern abstract patterns, to close-ups of shells or pebbles, our glass printing service offers an excellent opportunity to create a unique and meaningful design scheme that will help make your property feel even more like home. 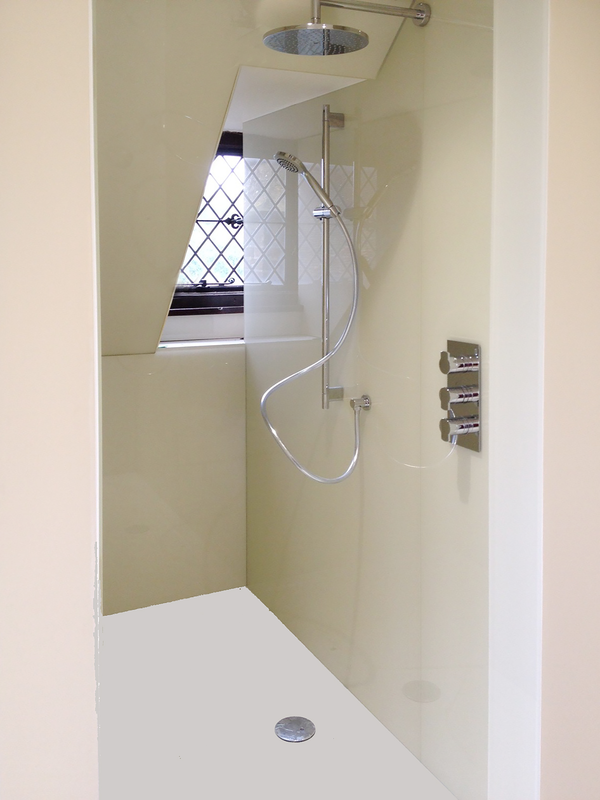 Our Glass Shower Walls come in any size – there are no “standard sizes”, and each panel is cut to order. If a glass panel needs to be cut off square, it’s no problem and this is at no additional cost. 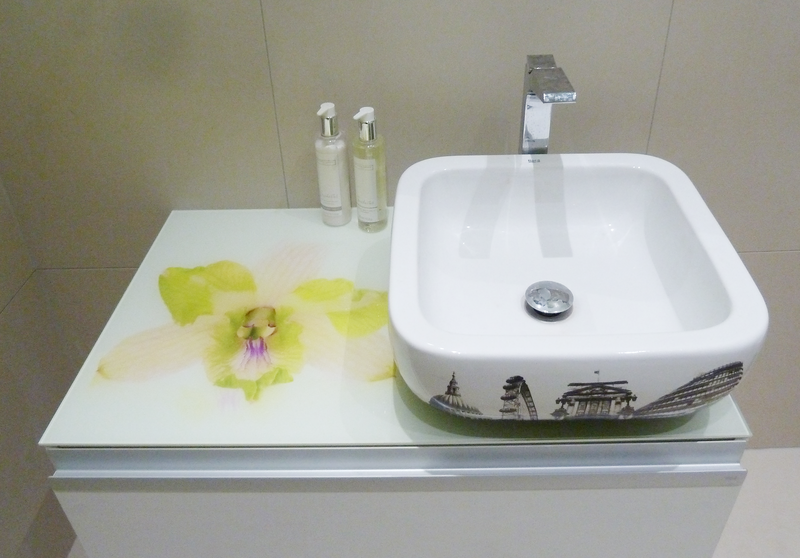 Cut-outs for shower mixers and fittings, even for wall mounted toilet pans, come as part of the service we offer. 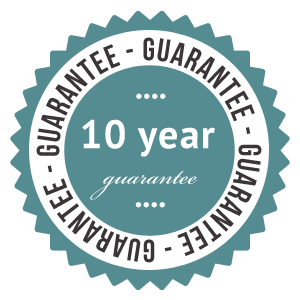 All of our glass is cut with incredible precision by our in-house water jet cutter.